Due to poor archiving, I cannot nail down the precise year I started, but it was in the late seventies. I was below the age of ten. Some good friends, with whom I had my most splendiferous childhood experiences (most of which involved madly running around basements, woods and other areas devoid of parental oversight), showed me TSR’s B2: The Keep onthe Borderlands. The back cover of that module informs my attraction to lurid colors. And the dice were nifty. While we may have started that module, I more clearly remember going through the otherworldly Q1: Queen of the Demonweb Pits. When I finally got my own copy of that module just a few years ago, I was amazed how much we missed in that early run. At the start of the eighties, my family moved and I entered a new school on Cape Cod (the school had literally opened 4 years earlier). In my classroom, there was a copy of Holmes’ Basic D&D. I was flummoxed by the chits. Later in high school, I joined a role playing club and was introduced to Gamma World and Top Secret. It is accurate enough to say that the AD&D 1e system and Moldvay’s B/X have seeped into my DNA. Mentzer’s BECMI stuff is still considered by me to be the “new edition.” I do not have any newer editions of D&D. My playing style has always been “theatre of the mind” stuff. The idea of using maps and minis just seemed like too much work. These days, the approach taken by utilities like Roll20 where a map can be uploaded and partially obscured is great. That is far more fun that mapping anyway. 2. How and when did you discover OSR? If my distant memories are hazy, you would expect more recent events to have more clarity. And you would be wrong. After the 80s, I drifted away from role playing to LARP as a rock musician for a time and then later as a computer programmer (which continues to pay the bills). In the first decade of the twenty first century, I used eBay to expand my collection of TSR Gazetteers. 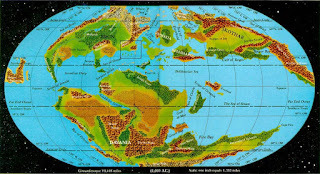 When Gygax died, I started looking a bit more online to see what the state of the hobby was and very likely it was then that I came across James Maliszewski’s most excellent blog Grognardia, which is still a consulted resource even today. James writes about the hobby like a well-read adult with a college education and everything. He articulated the idea that there is something special about those early years of TSR (when D&D was a bigger commercial hit than Monopoly) and that that is worth celebrating. James’ blog led me to Google Plus, in which I previously had little interest. I started my own OSR blog in 2011 and started writing the adventure Manse onMurder Hill, which is part of a series that extrapolates what might have happened after the events of The Keep on the Borderland. This is a long-winded way of saying that my involvement with OSR is all James’ fault and all opprobrium for such should be forwarded there. However, had I not found such a generous and welcoming community on G+, I would have moved on to other interests. 3. 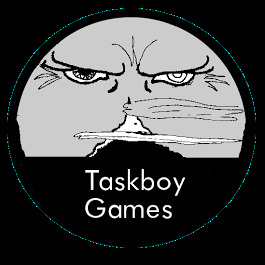 Tell me about Taskboy Games, How did it start? The word “Taskboy” has been around for, great Cthulhu, fifteen years or so. It is an umbrella term for all my projects. Originally, I had thought to make project management software under that title, which is clearly a nod to the Pipboy PDA of the computer RPG Fallout. However, my project did not pan out, but the domain name stayed. All the wonderful adventures that were being self-published on RPGNow.com provoked me into thinking I could do the same. On the first release of Manse, the fiendishly talented Stuart Robertson provided the illustrations and I did the cartography and layout. Aaron Beck did a fantastic job of copy editing and even created a style guide for me. It was great fun! To test the market, I released Manse for free and, to my surprise, people seemed to like it. I released a few one-page adventures (a concept I hope to return to later) which were also well received. I did not have a master plan. I was just following my heart. 4. Tell me about your latest release “Adventure Seed’s - Islands”? Adventure Seeds was originally written for Secret Santicore, to which I was very honored to contribute. However, that year’s Santicore ended up being a sprawling omnibus. It seemed like my article could be a nice supplemental for creating adventures, and so I released a modified version as such. I hope to have a few more in the Adventure Seeds line this year. I owe Peter Spahn a short hexcrawl for the Valnwall guidebook (which already has a ton of excellent material in it from Pete and many others). The tentative title of the adventure is Cragshaper’s Errand, in which the party accepts what seems to be a boring caravan guarding gig, but finds it has larger political implications, much to their endangerment. 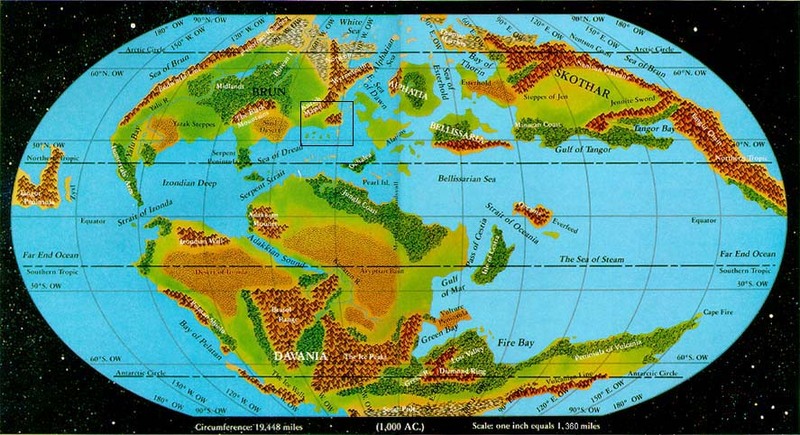 Mystara. Although I despise the twee name, the locations of Glantri, Rockhome, Ylaruam and Ierendi hold so much promise for fantasy adventure. 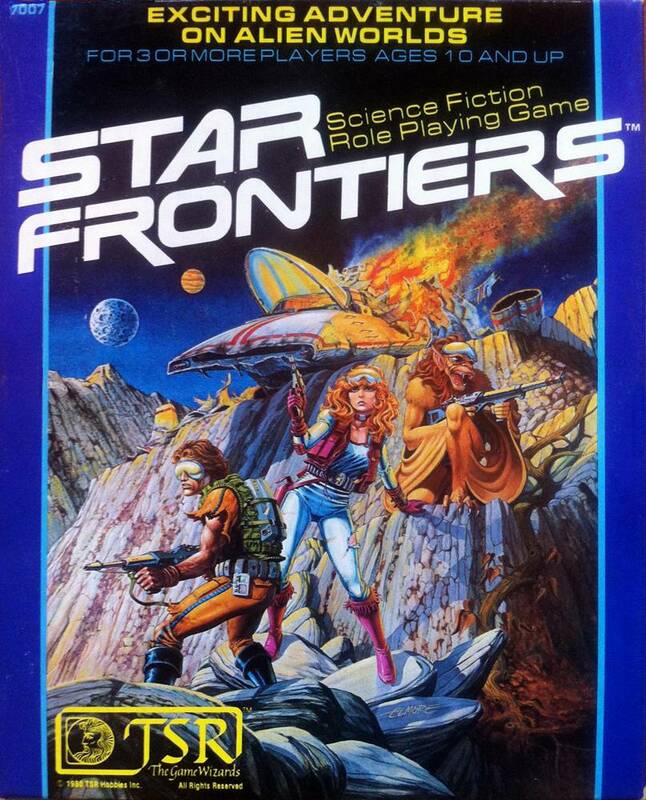 On the sci-fi side, the Star Frontiers setting of “the Wild West in space” is attractive. I also would love to explore a Fallout-like or Thundarr-like world. 7. How is the writing going for The Horror Beneath Graywater Tower? I had that adventure about 80% written when I got blocked. I still think the bones are good. When I get the other stuff off my plate, I will return to it. As with many projects, I start out with a huge idea and then have to winnow it down to something I can actually execute that has strongly coherent. One of the blocking items was that I wanted the dungeon to be in an extra-planar dimension between the Elemental Plane of Negative Energy and the Elemental Plane of Earth. Actually making that a gameable mechanic has proven challenging. X2: The Castle Amber is one of my favorite old school modules (which is another thing James M. and I have in common). I suspect that Graywater will head in that direct a bit more. From an income perspective, the next project I should work on is an expanded, printed version of Hexcrawl. If nothing else, James Spahn keeps hounding me about it. 8. Tell me about the “Tranzar’s Redoubt” & “The Manse on Murder Hill” Modules? Tranzar’s Redoubt is a small dungeon crawl in the classic tradition of a wizard’s fun-house. Because of my fondness of Gygaxian naturalism, I try to have some level of plausibility to the encounters. You probably will never see a giant chess board puzzle in one of my adventures, for example. With Tranzar, every room had to be an interesting place to visit. Not every encounter requires combat. There is a lot of treasure in the dungeon, but the best stuff is hard to find. I am reasonably proud of the Big Bad at the end of the module and I hope that I was modestly successful at subverting the well-worn trope of a wizard’s lair. Reading The Seclusium of Orphone of the Three Visions definitely affected the design of Tranzar, but I would excuse D. Vincent Baker if he did not notice. Manse on Murder Hill is a “house crawl” in the tradition of The Sinister Secret of Salt Marsh. It is the first in a series (hey, I working in it!) that involves a revenge story. However, Manse is designed to work as a standalone module. It looks better than even with Tim Hartin’s new maps and David Guyll’s additional artwork. 9. What is one of your favorite adventures other than something that you’ve released? A few of the classic TSR influences have already been mentioned, but let me throw out some love for the outstanding work that litters the OSR community like rats in a first level dungeon. Peter Spahn of Small Niche Games just keeps cranking out solid, engaging adventures. If you only buy one of his products this year, let it be TheInn of Lost Heroes. That adventure goes to some pretty dark places for bog standard fantasy RPG. On the subject of Spahn’s, James Spahn’s Barrel Rider Games is another publisher that is hard to go wrong with. Just pick up his White BoxOmnibus and you will be transported back to the 80s. Maybe you are too busy playing his crazy-popular White Star supplement to bother, though. At the risk of sounding sycophantic, your own work like The Lizardmenof Illzathatch is great resource to grab when you need a quick side adventure on short notice and do not have time for a lot of fiddly setup. Kelvin Green’s Forgive Us is a creepy little adventure for those seeking the claustrophobic atmosphere of something like the movie Alien. For just ecstatic, punk rock fun, please take a look at Gus L.’s The Dread Machine. He should sell these adventures written in high school notebooks with ball-point pen. Great, raw fun. Pretty much everything that the Hydra Collective puts out. The weird city setting of Fever-Dreaming in Marlinko is delightful and should be stolen from liberally (but I will admit to nothing). Then there are the sort of monumental epics of OSR that I would hope everyone knows about: Greg Gillespie’s Barrowmaze; Zak Smith’s Redand Pleasant Land; and James M.’s epic Dwimmermount. These giant works are inspirational in content and in form. I cannot say that I have fully digested any of them well enough yet. Dwimmermount in particular is a gift that keeps on giving. I would love to have been a player at James’ table for that. Similarly, I would love to be at Zak’s gaming table for pretty much anything. I am really grateful that James Raggi is around. He is both a standard bearer for independent publishing, a champion of quality production and a challenge to the rest of us to be as creative as we can be. There is an embarrassment of riches in the OSR community when it comes to worthy products. I am sorry I cannot now name all that ought to be. 10. Your modules contain some amazing art & layouts, who are these awesome artists? Thank you for your kind words. I am very fond of the work that my team has done. It has far exceeded my expectations and I just sort of happen to get an impressive collection of talent to work for me. Stuart Robertson came in for the first round of Manse artwork after I saw his stuff on G+. I am extremely proud that his art adorns my work. Two or three years ago, Matt Hildebrand approached me looking for layout work. At the time, I did not have anything in the pipeline, but I keep a spreadsheet of OSR production resources and put him on it. Turns out, Matt is really, really good at layout, as many other OSR publishers are finding out. During the production of Tranzar, I realized that the only way to get my products noticed in the highly competitive sea of self-published RPGs was “to go big” with design. My strategy continues to be to produce the best-looking products I can afford and cleverly sandwich my little stories in between. The vision for a design aesthetic is stolen straight from Hellboy: high contrast and low resolution. The production should be clean, modernist and minimalist. The look should respect the past, but go someplace new. As much I as love the look of the old TSR modules, I wanted design that looked forward. I credit Zak Smith for challenging my thinking on what an OSR product could look like. With these vague suppositions in mind, Matt came back with a few designs that were all excellent, but one spoke strongly to me. I am over the moon with the look and feel of Taskboy’s full adventure product line. Matt knocked it out of the park on Tranzar, so I asked him to modernize Manse too. I will use him for the Hexcrawl revision and anything else I do, provided he has the time. Since Stuart was not available for the Tranzar work or the Manse update, David Guyll agreed to work those projects. Again, when I see an artist I like on G+, I put his or her name on my spreadsheet. David really nailed the visualization of the ideas in the Tranzar. Cartography, although fun, is not my core competency, but it sure is of Dyson Logos and Tim Hartin. If I have to explain why these guys are leaders in OSR cartography, then you probably do not OSR much. I would love to get more of their work in future projects, but those two are really busy, as you might expect. Matt Jackson and Glynn Seal of MonkeyBlood Design are on my list of talent that I need to work with. The ingeniously bizarre illustrations of Jason Sholtis really send me. His stuff channels the weird fantasy of the 80s without nostalgia. Look and feel is important, but content is king. Taskboy Games uses technical readers to find those parts of the adventure that do not work or are problematic. The readers I have gotten have all been wonderful, insightful and way more engaged than I could have expected. Readers like Paul Go, Kyrinn Eis and Aaron McLin have all applied much needed hammering to my woolly manuscripts. Their work removed the most desultory parts and made the adventures so much more compelling. Good production takes talent. If you do not have talent, you must buy it. Taskboy Games is a terrible business, but a rewarding hobby. While I understand the lower demand for print versions of these product, these adventures are stunning as printed things. They look just gorgeous. 11. When you get a chance to play a character, what type of PC do you like to play? 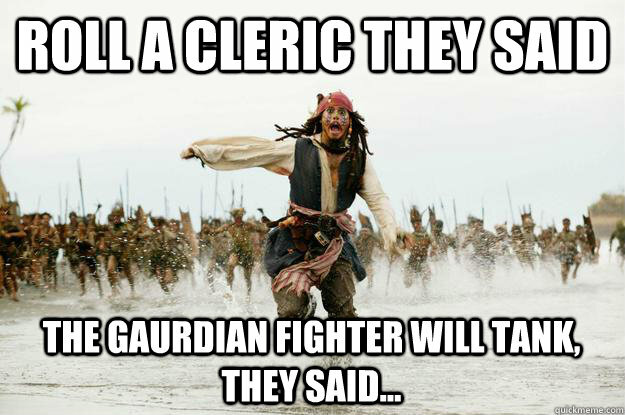 Clerics. I love them so darn much. 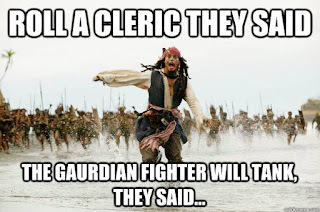 They aren’t as brittle as low-level magic-users. They wield some satisfyingly destructive weapons. They have spells that are immediately useful to the party at beginning levels and game-changingly dramatic at high levels. They are the thinking man’s dwarf. 12. What are you most excited about in the RPG scene currently? Pete Spahn’s Valnwall guidebook will help draw interest back to Labyrinth Lord. Obviously, I am a fan of the LL system. It feels so open (thanks to Dan Proctor) that it demands community contributions. 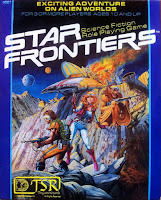 Without changing any core rules, there is a whole universe of adventures that can and should be produced to make the world of LL as rich as that of Mystara. And that, thanks to the OGL, is a playground for all of us. As I mentioned, the Hydra Collective appears to building some kind of monster. The Hill Cantons just gets bigger and better and nuttier. They seemed to be have a good time. Every day, my G+ timeline has new and inspiring illustrations that fire off more adventure ideas than I can capture. Sometimes, I have to shut off G+ just to get work done or to prevent me getting overwhelmed and depressed. Ignorance of the competition really seems to help get work out the door. OSR is such a creative juggernaut and I am positive that I only see about a tenth of it. As the careful reader will notice, I do not keep up mainstream RPGs from established publishers. Although there is a lot of good work there, it just feels like a walled garden to me. 13. I really loved “How to Hexcrawl”. It’s an amazing resource, where did that come from? I am happy you found it useful. I have gotten a lot of encouraging feedback about it. The origin story of Hexcrawl is pretty mundane. I saw the term hexcrawl but could not articulate how to play one. That seemed to be the case for a lot of people. My Hexcrawl supplement is an attempt to explain what a hexcrawl is, how it is different from a dungeon crawl and how to actually play a hexcrawl as envisioned in the B/X and LL rules. It is a clarification of rules which do seem to contradict themselves at times. It is interesting that one to the complaints about Hexcrawl is that it does not contain new information about wilderness adventuring. That as a complement. One last shoutout to James M. At some point, James articulated this guideline: D&D is always right. What that provocative motto is expressing is that a good chunk of the original D&D rule set was thought-out and extensively play tested. One should try to understand and play the rules as they are written before creating house rules that may end up being problematic. This is not an injunction against house rules, but a gentle nudge to try the game as designed first. By collecting wilderness adventure rules into a single place and ordering the rules in a more procedural way, I hope I have made DMs who shied away from running a hexcrawl feel confident that they could do it successfully. David Cook provided the rules for wilderness adventures in the original TSR D&D Expert Rulebook and he wrote X1: The Isle of Dread, which tries to be an exemplar of those rules. The problem is, X1 is a sort of masters class in hexcrawling which does not actually follow the rules in the Expert Rulebook. It is not easily approachable. Sure, wondering on the island is not too bad, but getting to the place is a little rough, due to the waterborne travel. The revision to Hexcrawl will cover water travel and attempt to make it a clear (and hopefully fun) procedure to follow. One last thing of note about Hexcrawl. Hexcrawl was going to be a G+ post in the LL group. It would be something of limited value and relatively short. After getting twenty pages into the project, it clearly needed to be something more permanent than either a blog post or a social media status update. In an open forum, I asked the LL group members to comment on and review the manuscript I produced. Since the editing was done in a collaborative spirit, I did not feel that I could charge for the final product. Dyson Logos very generously provided the footer to that doc, which was a pleasant surprise. Hexcrawl is my small gift to the community and that version will always be freely available (although tips are welcome). The revision I am planning will have the same high production values as my adventures, which means that I will be charging money for it. It will be available as PDF and in softcover. 14. Football Or baseball? And bonus question Star Wars or Star Trek? The second question is easier: Star Trek. I like Star Wars. I was born in 1971 and I am legally obligated to enjoy this wonderful hero’s journey that George Lucas produced. While Star Wars gets high marks for escapism, it fails to capture my imagination. I do not care about any of the worlds shown in the seven movies (although the battle wreckage seen on Jakku was evocative and a great allusion to the last rebellion). I do not find the Jedi more interesting than, say, samurai. Why the Sith limit themselves to only two members seems like a retconned rationalization that makes little strategic sense. The penchant for deathstars is darn near pathological. Cool spaceships though. If you want lightsabers, may I suggest the work of Jack Kirby on Thundarr? On the other hand, Star Trek is a setting I want to explore, even with clunker shows like Voyager and Enterprise spraying excrement on the continuity. The core optimism of Trek is that somehow humans will work together to explore the stars rather than conquer them. Star Wars speaks to the child I was. 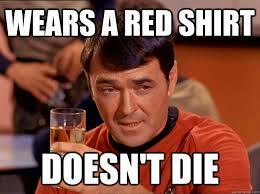 Star Trek speaks to the adult I am. 15. 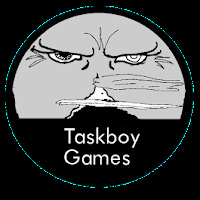 What are the plans for Taskboy Games this year? Anything in the works? One way or another, the Valnwall hexcrawl will be delivered. Jason Paul McCartan’s zine, OSR Quarterly, should be emitted this year and contain my article about the Wild Hunt and related critters. The Hexcrawl revision should be next, both because it is straight-forward and high profile. Another unfinished supplement kicking about has the working title “Mr. Xang’s Shop of Exquisite Grotesqueries,” which will be fun to write and require outré illustrations (which seems like a rather good fit for Jason). Also, Richard Littler’s darkly absurdist Discovering Scarfolk keeps asking to be recast as an adventure. There are half a dozen adventures in an unfinished state on my Google Drive, with probably another six ideas for articles or supplements. Keep watching my G+ posts to get a better handle on what next will be emitted from TG. The main blocker is free time. The reality is that the priority for this hobby comes after work and family obligations. In October of 2015, I was lucky enough to join a new company that has been fabulous to work for. However, I have not adjusted to the new schedule quite yet. When I do, I expect to have more bandwidth for orcs and such. Editors note: Thank you very much for taking the time to answer my questions +Joe Johnston I appreciate it!